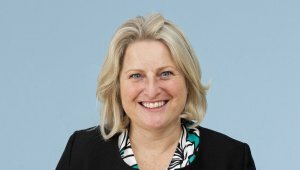 Nicola Plant advises a wealthy older couple in relation to their estate planning. They were looking for ways to reduce their taxable estate. The couple had a granddaughter who had a good job in London and was planning to move in with her boyfriend. This was an excellent opportunity to pass wealth down the generations in a tax efficient manner, while giving their granddaughter a start in life. Nicola advised on the options available to the couple and, having a good relationship with the granddaughter, they ultimately decided on an outright gift of capital to her. The granddaughter and her boyfriend had secured a mortgage to fund the outstanding cost of the purchase. Tom discussed how to record the unequal contributions with her and prepared a declaration of trust. The declaration allowed for unequal future contributions to affect the balance of ownership of the property (floating shares). It also set out how various types of expenses would be shared and accounted for (if at all) in the capital ownership. Finally, the declaration dealt with what would happen if one of the co-owners died or wanted to sell the property. Rights of pre-emption were included to ensure that each owner would have first refusal on the other’s share in the event of a sale. All of this produced a very detailed document but this was essential to provide for the inherent uncertainty faced by the client and protect her position, for example in the event of separation or divorce. On a more positive note, it also allowed for the possibility that our client would stop work in order to start a family and that the boyfriend’s career would develop such that he could afford to expend capital on the property above the mortgage payments. Tom took the time to discuss and explain the provisions, as well as alternatives, to the granddaughter. Tom worked closely with the granddaughter and her boyfriend’s solicitor to ensure that an agreed declaration was ready in time for the purchase. Now that the granddaughter had a valuable interest in a property Tom advised her on drawing up a will in order to avoid the undesirable tax consequences of the intestacy rules for an unmarried person. It was important to the granddaughter to keep her grandparents’ capital in the family line. She wished to balance this against a desire to ensure her boyfriend was properly provided for, should the worst happen. After discussion of the options, Tom prepared a flexible discretionary trust will for her and helped her write a letter of wishes, covering various scenarios. He advised that a family member and the boyfriend should be co-executors, ensuring that their interests were appropriately balanced.